Woman's under top of white plain weave cotton printed with blue stripes. Right side fastening with five plastic yellow buttons. 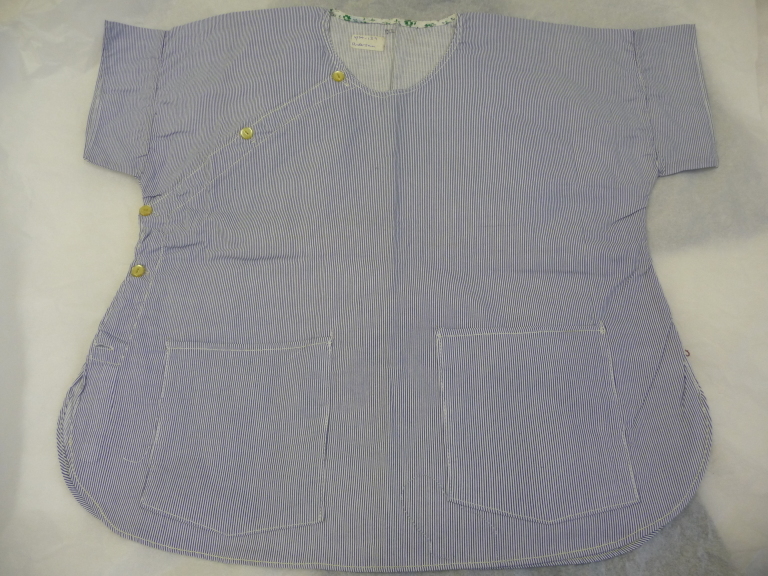 It has a round collar, short sleeves, two front pockets and it is slit at the side. The garment is unlined.